Have you ever heard of the America’s Cup – the most challenging competitive sailing event as well as the oldest trophy in international sport? BMW is a part of this very prestigious event. For the 35th event BMW will be the global partner and will support the defending champions ORACLE TEAM USA as technology partner. Keep reading for more information. BMW and the ORACLE TEAM USA will be partners in engineering and share their knowledge as well as technological innovations. BMW also will be included in all marketing for the event which will carry on until the event ends in 2017 and is responsible for providing fleets of their vehicles to transport guests, VIP’s and team members. BMW is excited to use a variety of their vehicles like the new BMW 7 Series the BMW i8 and the BMW i3. 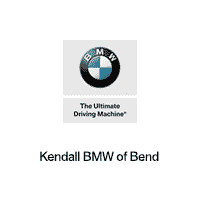 All of us at BMW of Bend are excited for this partnership and proud of the technological advances BMW has made over the years. If you want to see some of our technologies in action feel free to stop by our Tumalo area dealership. We have a variety of new and pre-owned BMW vehicles. We hope to see you soon!